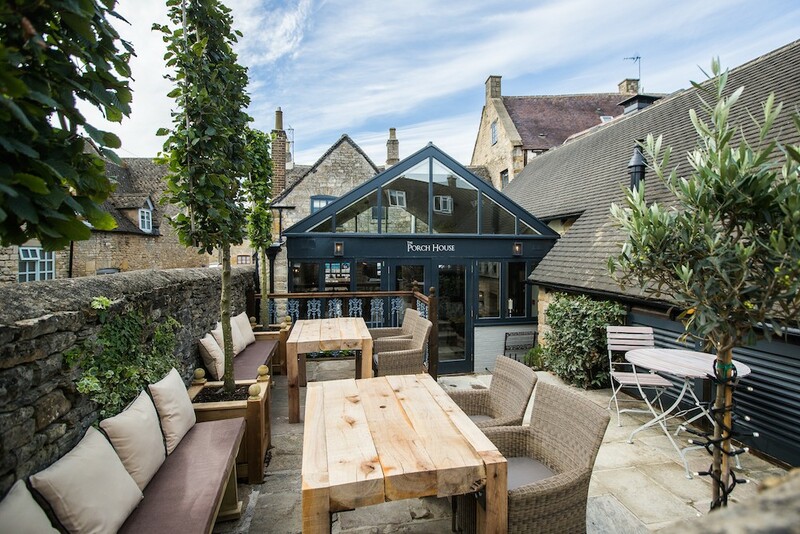 We came, we ate, and we loved the gorgeous exterior, romantic nooks and roomy spaces of The Porch House, Stow. 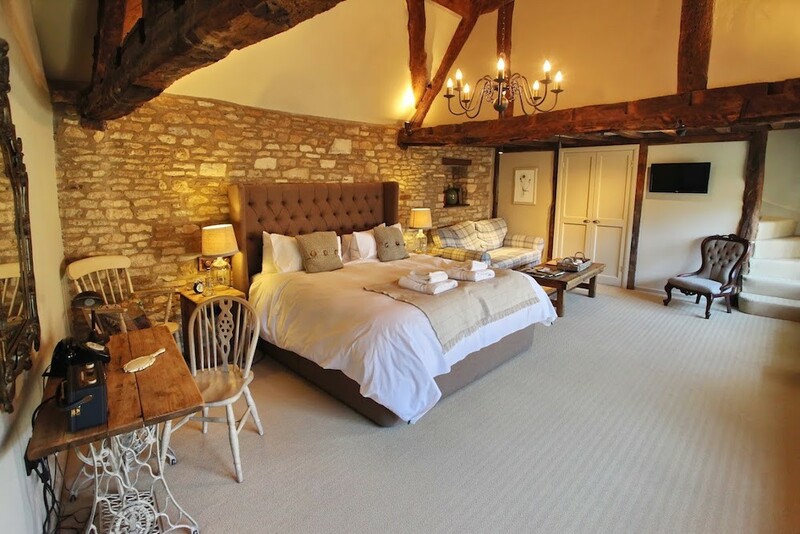 England’s oldest inn is a handsome, Grade II listed, Cotswold stunner with parts dating from 947AD (I’m not kidding, this baby is seriously ancient, although fortunately not in a blue-rinse way) nestled in the heart of drop-dead gorgeous Stow-on-the-Wold. 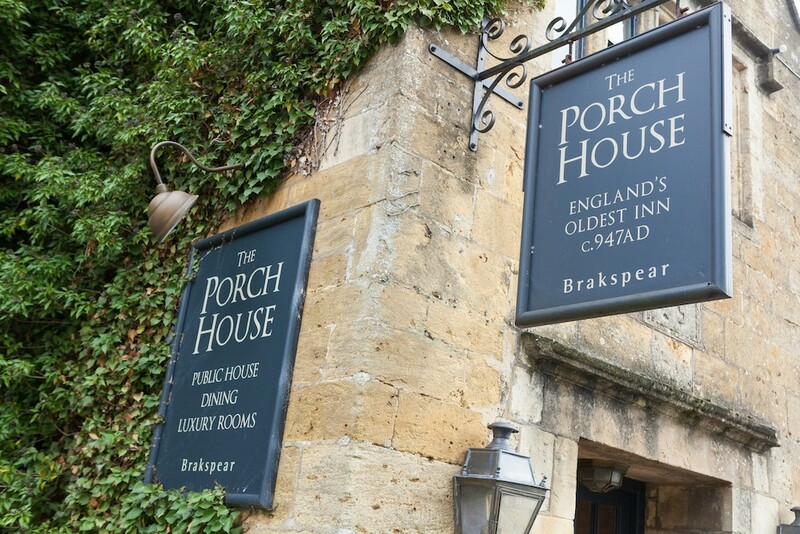 The Porch House has a healthy clutch of awards for its pub and restaurant, and if you stick your head out of the mullioned windows of one of its 13 cosy rooms, you’ll see the ample charms of this town – a run of funky independent shops including fab jeweller India Mahon and super funky Law & Company. This superior inn looks like a period-drama dream inside and out – there are leaded windows, exposed oak beams, honey-coloured stone walls, even an inglenook fireplace with carved symbols in the stone to protect you from witches and evil spirits. Which could account for the happy and relaxed vibe. 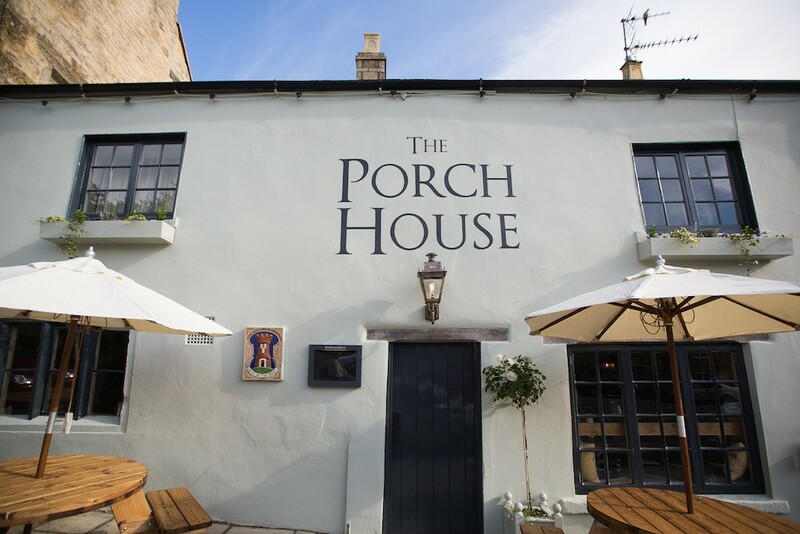 For while The Porch House is definitely upmarket from your pop-in-for-a-pint local, there’s no snootiness here and there’d be no shame in arriving a bit dishevelled with the kids in tow. Although it is rather special, so you might want to savour it unencumbered and a tart yourself up a bit. We certainly did. There are nooks and crannies galore, with different areas to drink, dine and slouch in. A cosy seating area by the entrance offers comfy leather sofas to doze (sorry, recline) in, while the dining room is seriously grand, a definite step up from your average gastro-gaff. Go more casual in the airy conservatory or intimate bar area but wherever you choose, it is all stunningly designed. This place is stylistically divine as far as pubs go. There’s also a private dining area that seats up to 12 with its own bar, lounge, garden seating and loos. 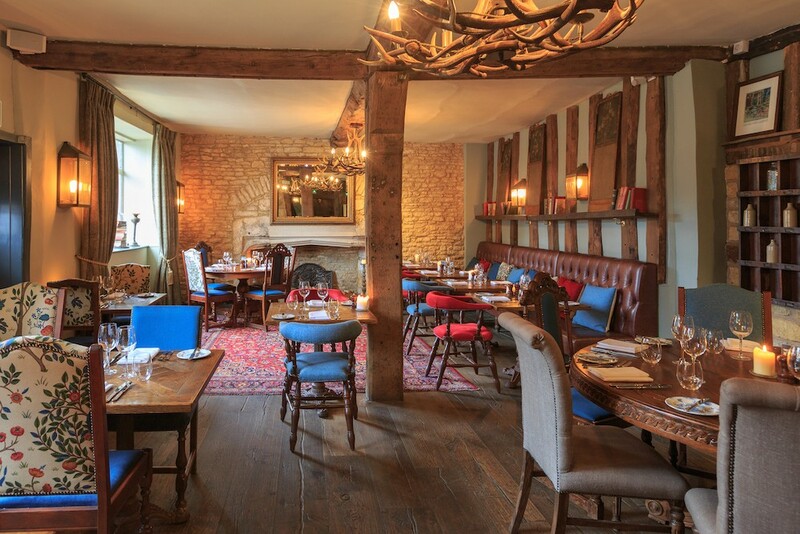 The menu is rustic British and changes regularly, which is what we like to see. All of the starters looked tempting (twice-baked cheddar souffle and homemade Cumberland scotch egg) but my lunch date and I plumped for buffalo mozzarella with honey, balsamic figs and prosciutto to share. 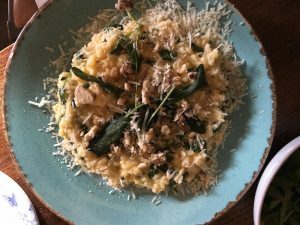 For mains, I suffered food envy as I so often do at Sarah’s roasted squash and sage risotto with chestnuts and spinach. I should have swapped plates when she wasn’t looking, except that she doesn’t eat gluten and I’d gone for a slightly disappointing Welsh rarebit. Still, there were other delights on the menu such as 8 hour slow cooked belly of pork (I’ll sell my Granny for a well-cooked pork belly) with parsnip rosti and burnt toffee apple (wow! ), and hanger steak with baked bone marrow, so hopefully I’ll be asked back and can get stuck into something more exciting. We were planning on sharing a pud (they have sticky toffee pudding and I will NOT leave a restaurant that serves sticky toffee pudding without sampling it) but sadly they had run out. So there’s another reason to come back. 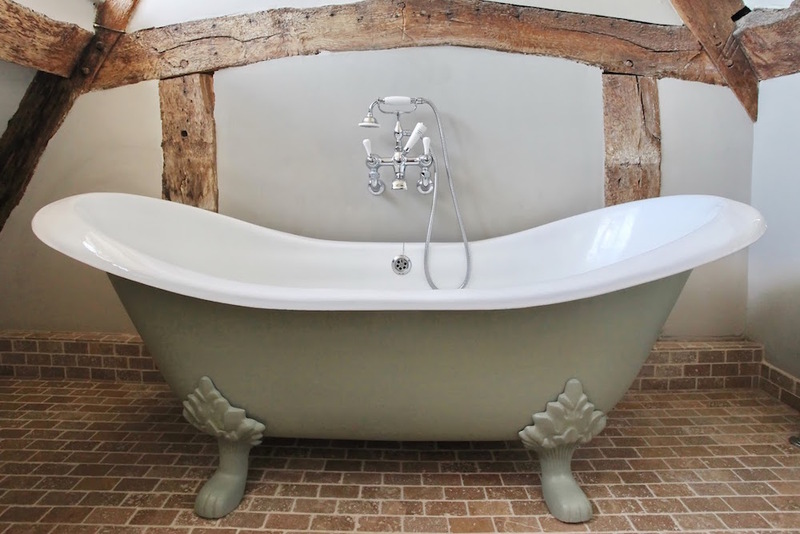 Yep, there are 13 rooms upstairs more akin to a stylish boutique retreat than a pub, starting at £99 a night with breakfast. Each has a cool, country vibe with luxe bathrooms to finish off the job, and one room is even dog-friendly. Well, this is the heart of the Cotswolds so of course there is pots to do. 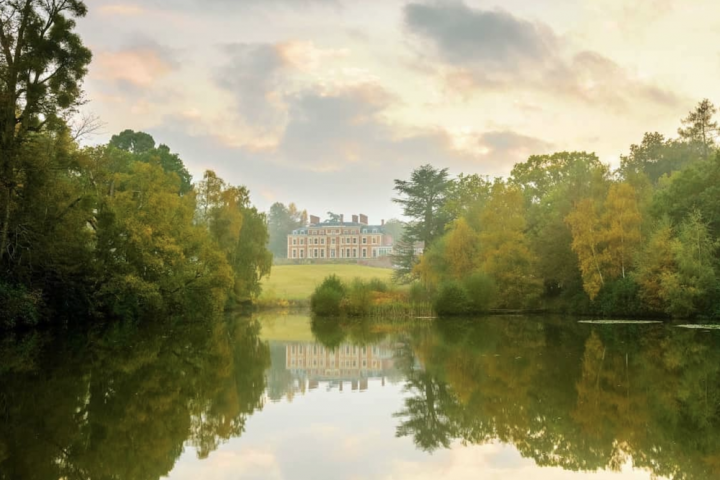 Explore ‘Venice of the Cotswolds’ Bourton-on-the-Water (seriously) boasting Birdland, Cotswold Motor Museum and a cute Model Village, the ancient market town of Chipping Camden, and Anglo Saxon Winchcombe where you’ll find Sudeley Castle. Some of the best Cotswold gardens are close too – Batsford Arboretum, Hidcote, Kiftsgate, Sezincote and Bourton House – and then there’s my particular favourite, the walk from Lower to Upper Slaughter and back, finishing with an ice cream at The Old Mill Museum (and usually a small child falling in the stream). But don’t tell anyone ‘cos it’s my secret, OK? Good for: A lunch with the girls, a romantic evening meal with him indoors, a blow-out special occasion. If your kids are fairly reliably well-behaved, there is an excellent children’s menu and their Sunday lunch looks divine, at a very reasonable £16. The damage: Prices are pretty reasonable with starters coming in at around £7, mains topping at £16.50, even for the steak, and puddings no more than £6 except for the cheeseboard, which is £8.50. Now, just to make sure they heard me…please can I come back?! Read more of our latest pub reviews.